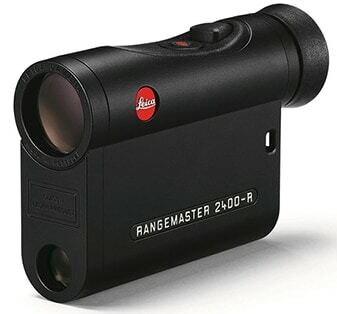 Leica released an all-new laser rangefinder, adding the Rangemaster CRF 2400-R to its inventory of shooting accessories. Measuring up to 2,400-yards, the Rangemaster CRF 2400-R features a fast scan mode boasting measurements every 0.5 seconds. The Rangemaster CRF 2400-R delivers results in decimal figures up to 0.1-yards up to 200 yards in measuring distance, offering more precise measurements for hunters. “Thanks to its compact design it fits easily into any pocket – weighing just 6.5 ounces (185 grams). The outstanding optics with a 7x magnification ensures the best image brightness and a wide field of view,” Leica said in a news release. Equipped with an equivalent horizontal range, or EHR, the range finder offers the practical angle-compensated distance, allowing hunters to make accurate long-distance shots. The new Leica Rangemaster CRF 2400-R will be available come September with a MSRP of $499.